There are special places that you visit once and you always want to come back. 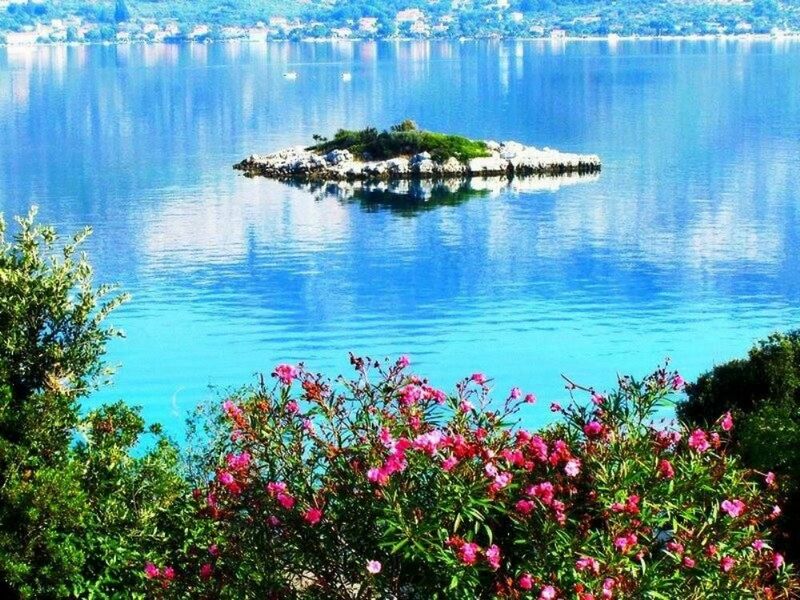 'Tri Zala Bay' is situated 4 km from the City of Korcula. Nature harmony and tranquility are ideal getaway from everyday stress and rush. Near the destination there are three round rock beaches, by which the place got its name. Korcula offers almost everything for everyone, but August and October are reserved for surfers (Peljeski canal is on of the most famous canal for surfing in the world). Our offer is based on vacation house and two suites with a seaview, equipped with and outside bathroom and shower, located just near the sea. Hi, my name is Ana. We have been renting our apartments for more than 20 yrs. We love what we do, so we try to give our guests a home feel like experience. We have few guests that come to visit Korčula and our apartments for more than a decade. And few that arrives for the past 5-6 yrs. They love the environment and hopefully our hospitality. If you rent a boat, it can be anchored in front of the house. Friendly owners, well equipped house, see view from the balcony. Few steps down if you want to swim. Very quiet place but still close enough to Korcula town. We had a very relaxing week, exactly what we were looking for. We hope to return to the same place in future. "This was already our 2nd stay in this beautiful house. Maria & Petar, thank you for the warm welcome back and the exceptional hospitality!! The whole family enjoyed the 10 days with you, if anyhow possible, we will be back next year!" "Very well equipped, clean apartment. The owners are all very helpful and kind. If you are looking for peace and quiet, the Kastelan Apartment will be the perfect choice. For sure next visit to Korcula I''ll contact Ana again. "A perfect spot to relax and to appreciate the beautiful landscape of Korcula. The house is spacious and well equipped and Ana, Petar and Maria are lovely hosts who give you the feeling of beeing really welcomed!! Thank you for this perfect holiday, we will be back for sure!!!" "we have just returned from this beautiful island were we had the best vacation. the villa from Tri Zala Bay with its spectacular window view was the most wellcoming home and the owners made it even better. therefore i recomend with all my heart this place for an amazing vacation on the dalmatian coast." We spent 2 weeks in this house and it was great and relaxing familly time, thanks to the house for its quiet environment. Direct access to the sea (15m) is just magic. Warm welcome from owners Maria and Petar also contributes to the well being. for the rest it is exactly as on the pictures. there are many links with the mainland: in the first place the car ferry that sails to the nearby Peljesac peninsula (Orebic, Trpanj) several times a day. Motor boats also go to Peljesac, to Orebic, Kuciste, and Viganj. Several fast car-ferries a week drive between the city of Korcula and Rijeka, Split, Hvar and Dubrovnik, and there is a daily car ferry from Vela Luka to Split and Lastovo and back.There are several buses a day to all the island villages, one bus a day to Dubrovnik, and several a week to Zagreb.